I’ve said it before, and I’ll say it again now, and I’ll very likely say it again: I love Usagi Yojimbo. 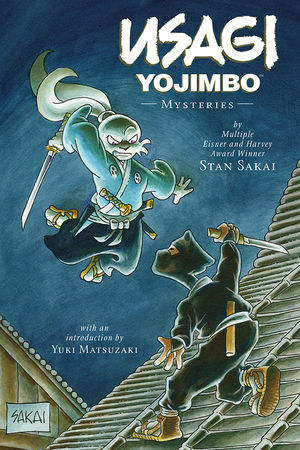 When they started putting out the Usagi Yojimbo Saga omnibus editions I was crushed. I’d been collecting the previous collections since Book 2. The Saga editions are not only longer but also a different page size, which would look terrible on my bookshelf. Happily, they’ve continued to release the older sized collections alongside the Saga editions, so here we are at Book 32: Mysteries. This volume collects issues #159 through #165, which had a lengthy break between issue #160 and issue #161. Game of Thrones meets Warcraft in a gorgeously rendered epic fantasy from the writer of Titan’s Millennium saga – Sylvain Runberg! Sorry but before we get into these book, this feels like another missed opportunity for better trade dress or marketing on this book. Synopsis: Miss Tilney has gotten her first big assignment as a reporter. All she has to do is interview accused mass murderer, Lord Beowulf Harwood. She has a strong hunch that he is innocent of the accusations and is set on finding out the truth. Somehow the character of Jabberjaw keeps popping up in cameos for various shows since his meager 16 episode run in the mid-1970s. He’s a talking, airbreathing, shark, who plays drums for a band called the Neptunes. 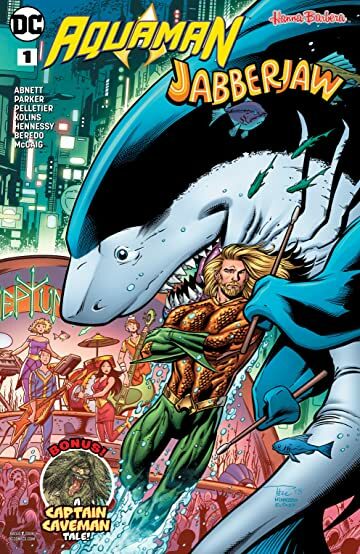 I honestly have no idea why this particular crossover needed to exist, and as often as not either does the book itself. When writer-artist Pj Perez posted the last page of his serialized webcomic THE UTOPIAN in October 2010, that was supposed to be the end of the story. The protagonist–a high school revolutionary named James Douglas who crusaded for social justice as “The Utopian”–died in the tale’s dramatic climax. The comics were published in four print issues and then a trade paperback, and Perez moved onto other projects.